If you aren’t confident with your smile, if you’re missing teeth or you have an imperfection you aren’t happy with, dental implants may be a wonderful solution to help give you your best smile. Dental implants are comfortable and look like your natural teeth. In just a few visits, from consultation to completion, you can have a brand new smile and with proper care, you may get a lifetime of use from your implants. Let us help you get your smile back! A dental implant is a small titanium replacement for the root of your natural tooth. It is positioned into your jawbone beneath the gum. Once the implant has fused to your jaw bone we attach the artificial replacement tooth, also known as a crown, to the implant. A dental implant is a permanently fixed tooth and is not removable like a denture. Dental implants also benefit your general oral health because they do not have to be anchored to other teeth, like bridges. To know if dental implants are right for you we recommend giving us a call and arranging a consultation. 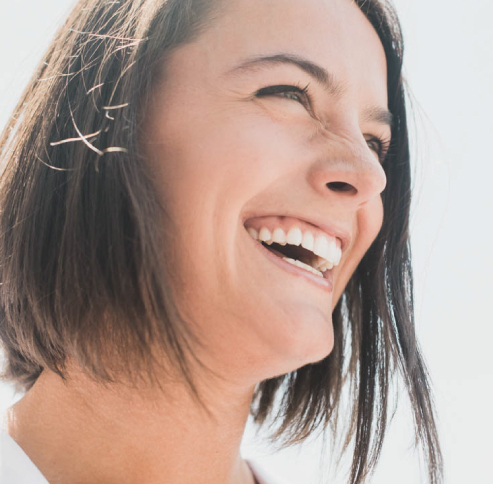 During your consultation, we will examine the missing tooth area to see if there is enough space between teeth and sufficient jaw bone structure available for a dental implant. The longer a tooth has been missing the more likely the bone that once supported the tooth may have deteriorated. A major advantage of dental implants is they help prevent further loss of bone. If you don’t have enough bone, a relatively routine procedure known as bone grafting can regenerate bone where it has been lost to ensure the success of your implant. Just as with any other dental work, we invite you to bring any questions you may have to your consultation appointment in preparation for your dental implant. The process of dental implants first begins with a consultation to confirm that you are a good candidate and to discuss all of your dental goals. If you are a good candidate for dental implants we will conduct the first of this two-part procedure. Phase one: A small titanium post is surgically inserted into the jawbone where your missing tooth is. A healing cap or temporary replacement tooth is then added to the implant while your tissue heals and the bone fuses with the implant. This phase will take approximately 3-6 months to heal. One of the primary reasons dental implants are so much more effective than other alternatives is because they are the only option that replaces your root as well as your tooth. Phase two: Once the bone fuses with the implant, you’re ready to enter the final stages of the dental implant process. Digital Scans of your mouth will be taken and used to create the implant crown. Once the crown has been completed, Dr. Provo will secure it to the implant. At this point, you’ll have a brand new, fully functional replacement tooth. Dental Implants can be a great solution in many different cases from replacing a single tooth or several missing teeth, or a bridge. Regardless of how many implants you have, once completed your implants will be indistinguishable from your natural teeth. Maintenance. Dental implants help to maintain the bone in your jaw when a natural tooth is lost. Improved appearance. Dental implants look and feel like your natural teeth. And because they are designed to fuse with your bone, they become permanent. Improved speech. With poor-fitting dentures, your teeth may slip within your mouth causing you to mumble or slur your words. Dental implants allow you to speak without the worry. Comfort. Because they are essentially now a part of you, implants eliminate the discomfort of removable dentures. Easier eating. Loose dentures can make chewing difficult and you risk them potentially falling out. Dental implants function like your own teeth, allowing you to eat your favourite foods with confidence and without pain. Durability. Implants are very durable and will last many years. With good oral care, many implants can last you a lifetime. Improved confidence. Dental implants can give you back your smile and help you feel more confident about yourself. There is no worry about laughing, smiling, or even speaking again – knowing your teeth are securely in place. Convenience. Removable dentures are just that; removable. Dental implants eliminate the inconvenience of constantly removing dentures, as well as the need for messy adhesives to keep them in place. One of the biggest benefits of dental implants is that they help to maintain the overall health of your mouth. For many, this can be a life-changing treatment helping you to eat and smile with confidence. They are the next best thing to having your own natural teeth. Just as you would with your normal teeth, the daily care of dental implants is very similar. Simply brush, floss, and use non-alcoholic mouthwash on a daily basis, to help keep your teeth clean. We are happy to show you the proper cleaning procedure for implants during your appointment. Regular dental checkups are important as this provides you with the opportunity to make sure that your implants are healthy and functioning properly. We are proud to say many of our clients have found the use of dental implants to be life-changing. If you would like to know more about dental implants or have any questions please give us a call. We can’t wait to give you your smile back! NOVO Dental Centre offers a full range of dental services provided by our caring, knowledgeable dentists, experienced denturist, highly skilled dental hygienists supported by our certified dental assistants. Knowledge and skill combined with compassion results in exceptional patient experience. These are the dental services NOVO Dental Centre provides. When you are ready, give us a call to schedule your first appointment.